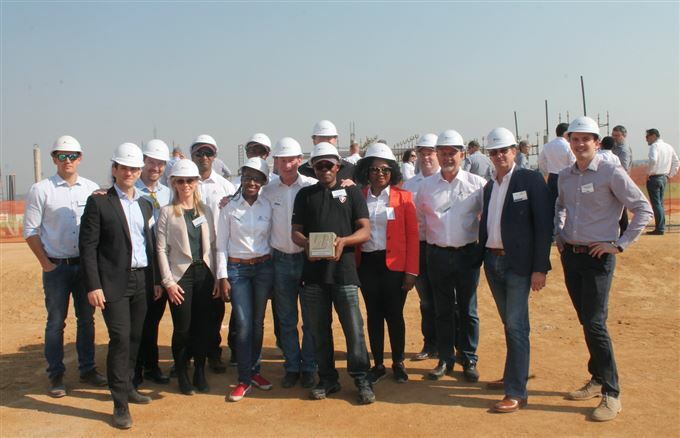 Bridgestone South Africa officially kicked off the start of construction of its new head offices in the Waterfall City development in Midrand with a bricklaying ceremony attended by the company's SA CEO Gavin Young and staff, the developer Abland and owners Pod and Tadvest Commercial. The new building will occupy 4800m2 to accommodate a staff complement of more than 200 and Bridgestone says it will be ideally situated between Johannesburg and Pretoria "to accommodate business growth, support collaboration, enhance operations and provide an easily accessible location that is central even for customers". Young commented: “The construction of new offices is in line with our revised strategy. We are not in the property business; therefore, we took the decision to sell our property space in Isando and use that capital to invest in business growth and innovation. We wish to place a stronger focus on what is important to our customers, which is providing the right solutions to address their needs. This capital will help us improve efficiencies and operations within the business". Young adds that the site will be one of the largest motoring cities in Gauteng and home to flagship car brands such as BMW amongst others, and Bridgestone expects to move into the new premises in February 2019, and start trading on the 1st of April.